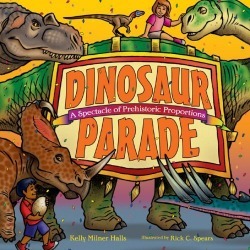 Dinosaur Parade: A Spectacle of Prehistoric Proportions. Halls, Kelly Milner (author). 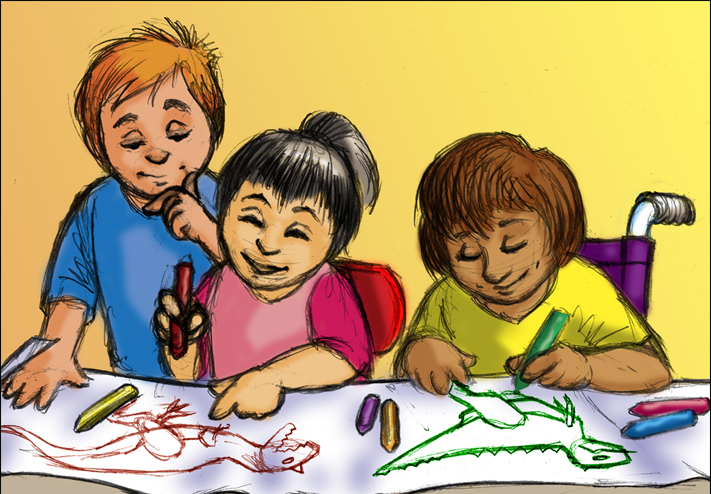 Illustrated by Rick C. Spears. Sept. 2008. 32p. Sterling/Lark, hardcover, $12.95 (9781600592676) K-Grade 3. 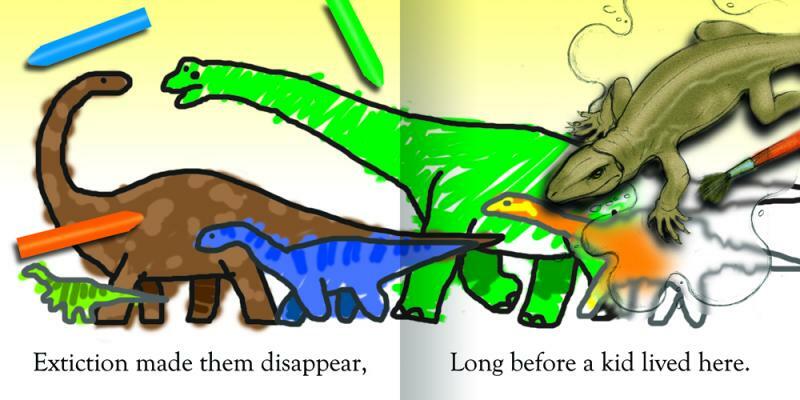 These two spreads were originally intended to introduce the fictional parade -- to suggest the dinosaur with children drawings sprang from the imaginations of the kids drawing a dinosaur mural. But they were dropped in favor of more dinosaurs.